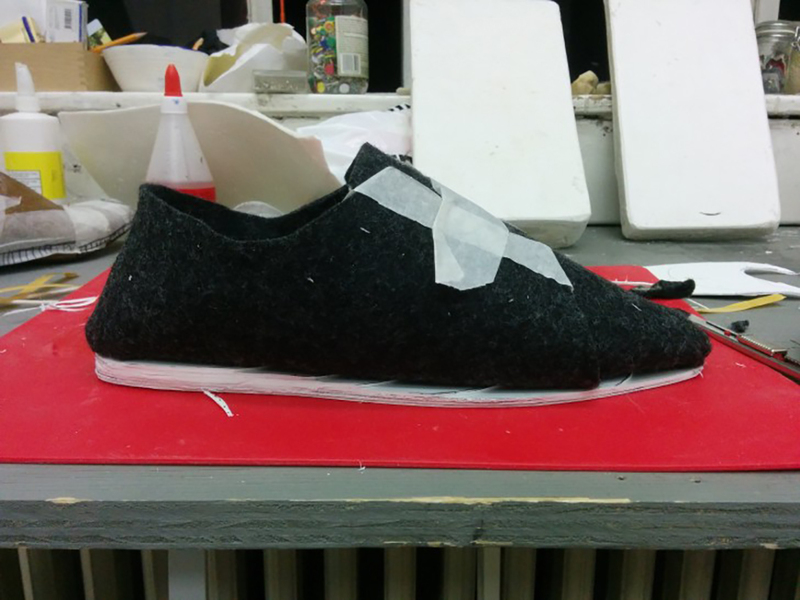 This sneaker is made entirely from Drents heath sheep. 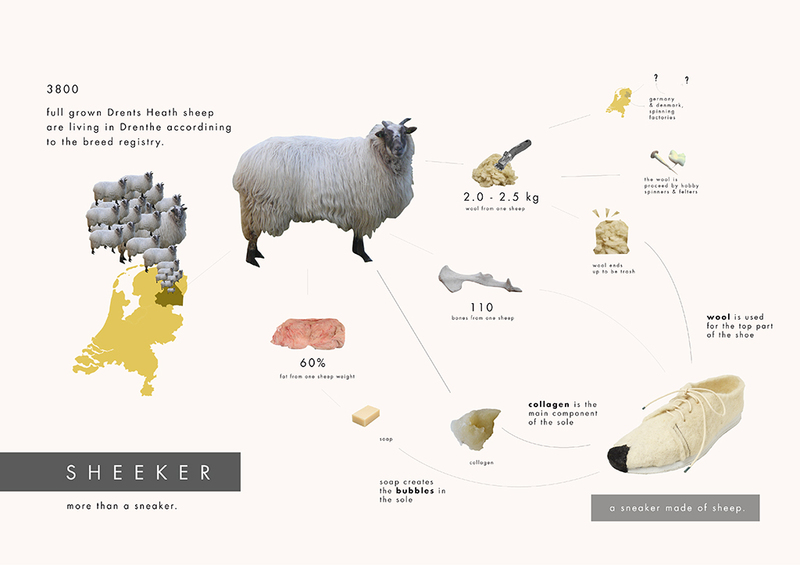 The grazing sheep maintain the landscape and are used for their meat, but the rest of the animal remains unused. 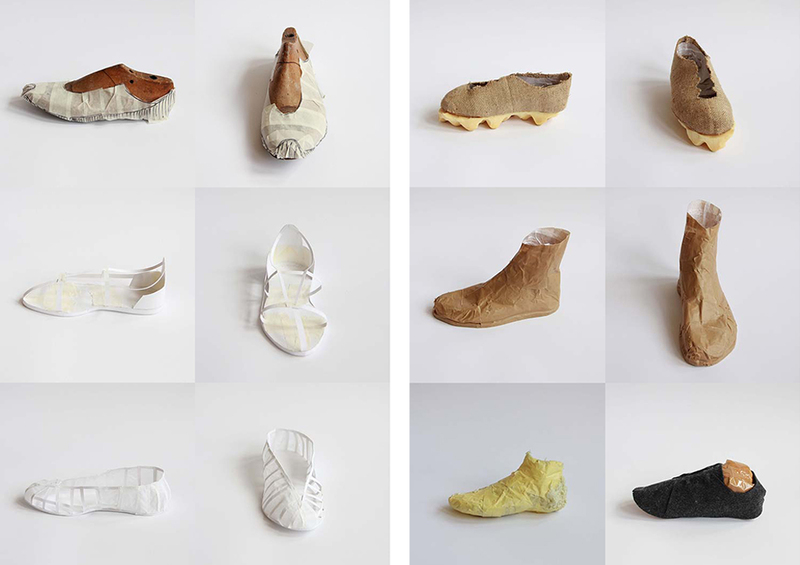 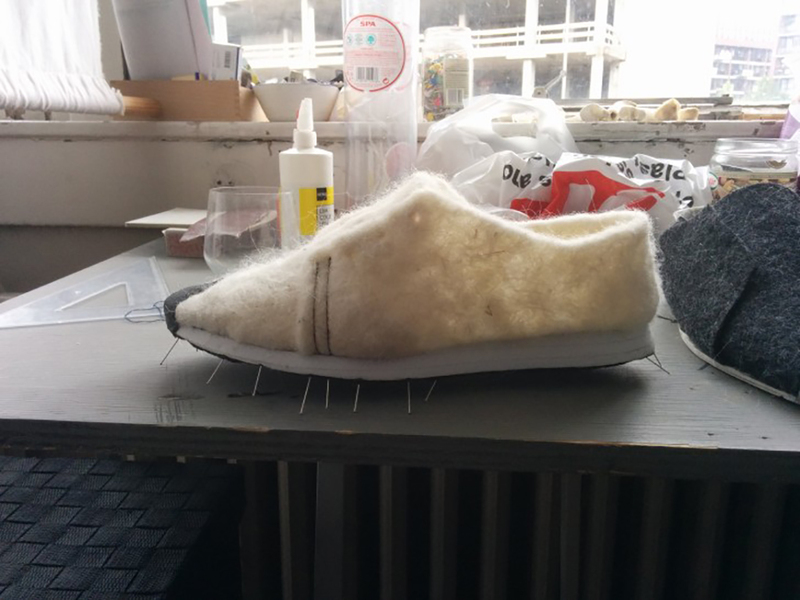 Researching and experimenting possible ways of using the leftover material, Josef Trojan and Michèle Degen have introduced a sustainable and environmentally friendly product: The Sheeker – sheep sneaker. 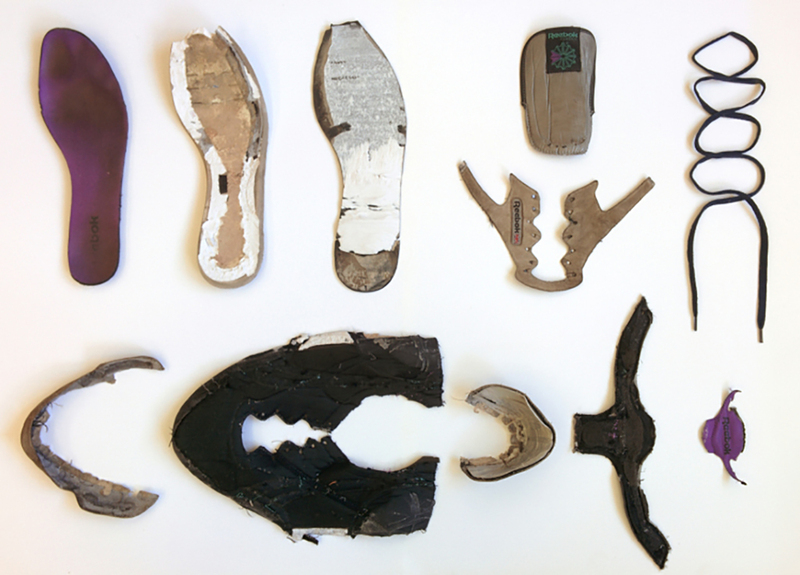 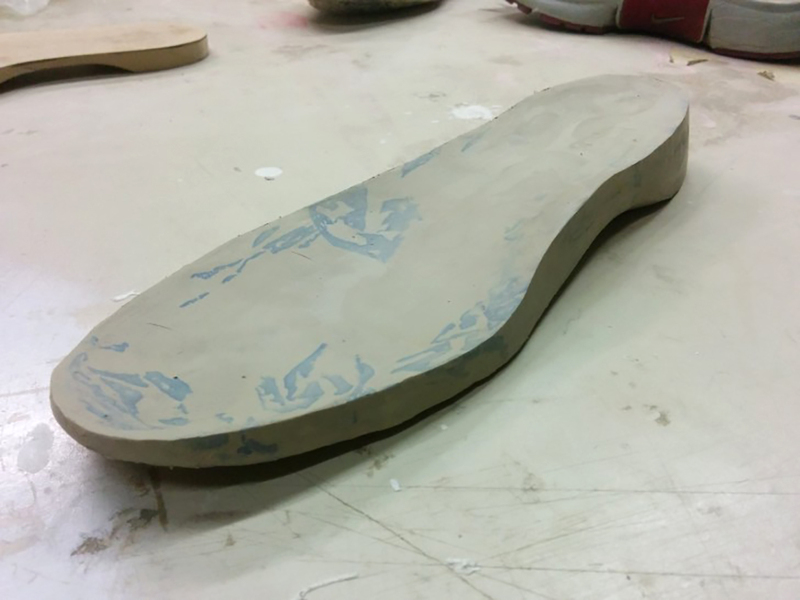 It offers an alternative to the widespread use of oil-based polymers in the footwear industry. 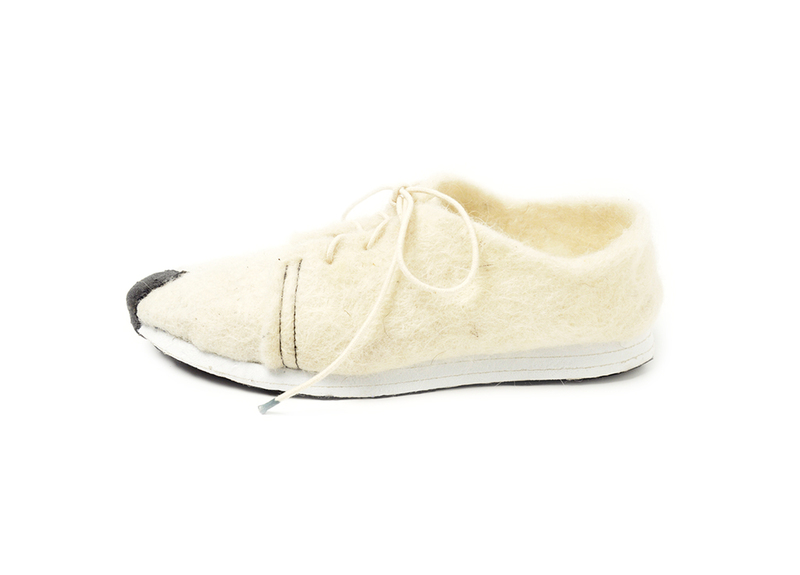 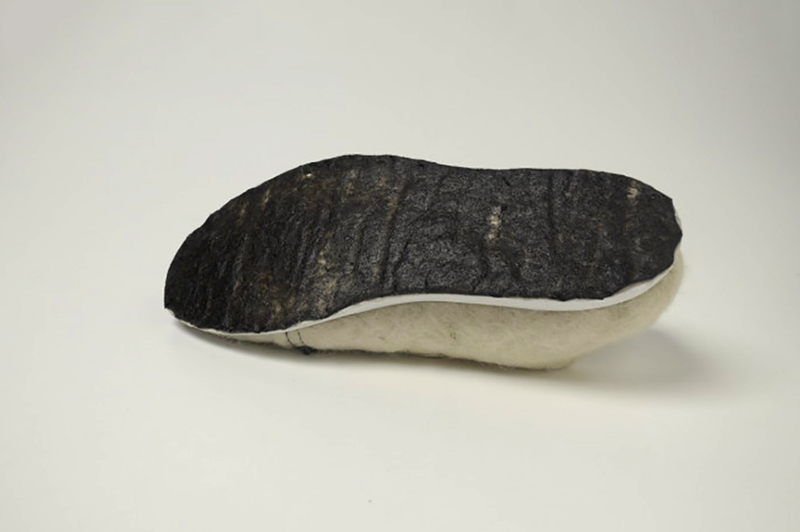 The sole is made of bioplastic, composed of bones and collagen, and the top part is created from felted wool in its natural color.